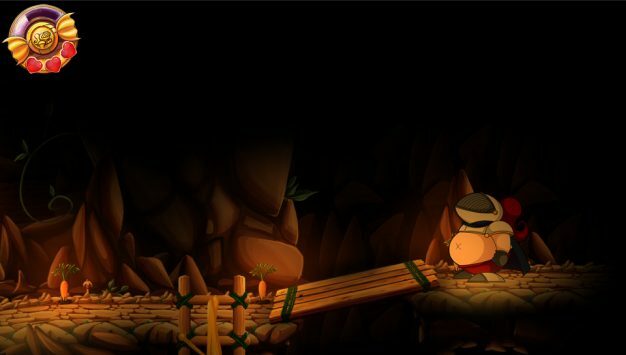 Eastasiasoft, the indie game team behind titles such as Rainbow Skies, Lost Sea and Rainbow Moon, have announced the Asia launch of the highly anticipated game Sir Eatsalot. The PS Vita-exclusive game will be available digitally on April 6th, with a physical version to follow later in the month via online-retailler PlayAsia.com. The game is a platformer that aims to take advantage of PS Vita’s touch screen, touchpad, camera and gyro sensor to create a unique control system for the game. Graphically the game looks stunning, with most of the world being hand-drawn which is really unusual these days. Humour is a big theme of the game and will keep players immersed. Story-wise, the game centres around Sir Eatsalot, the last hope and saviour of The Kingdom of Gluttington, which is currently being plagued by sour lemonade that is killing its crops. The evil witch Hysterica must be stopped and only the brave knight can stop her. Depending on the game’s success in Asia/Japan we may eventually see a North American or European release of the game at a later time. Look out for the digital version releasing early in the month followed by a physical version release later in April.